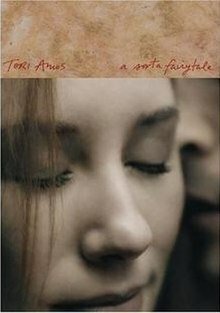 "A Sorta Fairytale" is a song written and performed by singer-songwriter Tori Amos. It was released as the first single from her 2002 album Scarlet's Walk. The song reached #14 on the Billboard Bubbling Under Hot 100 Singles chart, and #1 on the Triple A (adult album alternative) chart. The song has since been featured in episodes of the television shows Nip/Tuck and The L Word. There are three commercially released versions of the song: the album version (5:30), the 101 Mix (4:00) and the original single version (4:01). It was released as a CD single (UK/Canada) with "Operation Peter Pan" as the B-side, and as a DVD single (US) with the music video, co-starring Adrien Brody. “ "A Sorta Fairytale" finds Scarlet back in LA with a man she has convinced herself is her life's soul mate. They take the big trip in the classic car up the Pacific Coast highway and across the desert. But as they go on, the masks drop away and they discover the fantasy they have of each other isn't who they really are. They end up back where they started and Scarlet leaves. Interviewer: I have to ask you this because it's been killing me for the past five years. On the song A Sorta Fairytale ... you sing about pulling back the hood. Are you talking about the hood I think you're talking about? Amos: Oh, I want you to think whatever you want to think. Interviewer: That is not an answer! Amos: I want you to take it there! I want you to take it there! Amos: And my mom thinks it's talking about a convertible! And you know what? Let's just let her think that. The music video, directed by Sanji, features Amos, as a head attached to a disembodied leg, falling in love with another head attached to a disembodied arm (played by Adrien Brody). The two creatures show signs of romantic interest in one another, until the arm accidentally hurts the leg's feelings by laughing at her crooked fifth toe. The leg then flees by jumping onto a passing skateboard, and ends up alone on a deserted beach. The arm finds her and they consummate their love with a deep kiss. The act of kissing causes the arm and leg to suddenly start swelling up and grow their extra body parts—they finally become complete, "whole" humans by realizing their love. Making of "A Sorta Fairytale"
^ Michelson, Noah (May 4, 2009). "Songs in the Key of Sin". Out. Archived from the original on February 29, 2012. ^ "Official Singles Chart Top 100". Official Charts Company. Retrieved June 20, 2014. 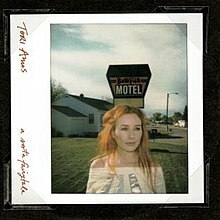 ^ "Tori Amos Chart History (Bubbling Under Hot 100)". Billboard. Retrieved June 20, 2014. ^ "Tori Amos Chart History (Adult Pop Songs)". Billboard. Retrieved June 20, 2014.